Transition is pleased to be able to offer a limited edition print by Dominic from Luton to accompany the show I Could Be So Good For You. The print is available from Transition Gallery or it can be purchased online and will be mailed directly to you. Dominic was born in Luton in 1977. He graduated from Chelsea College of Art in 1999, specializing in sculpture. 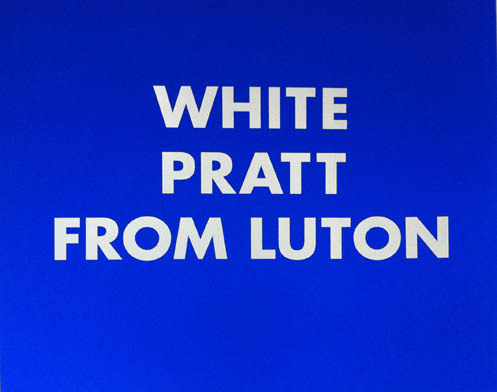 Since then, he has continued making artwork about an obsession with coming from Luton. This has provoked the use of materials as diverse as customised dodgem cars, gold-leafed lollypop sticks, homemade seaside superhero outfits and children covered in joggle eyes.